Driving from one school to another I vary my route. Not specifically looking for photos, just trying to find a good way to go with the least traffic flow. 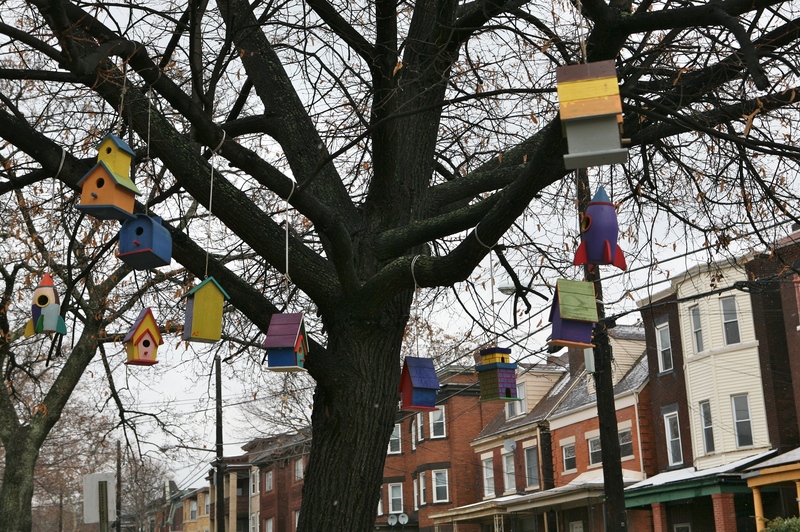 Colorful bird houses dangling from the branches of a city tree made me smile. Seeing these colorful houses and thinking of the person who put them in this tree, cheered me!